All in the family…music, that is. 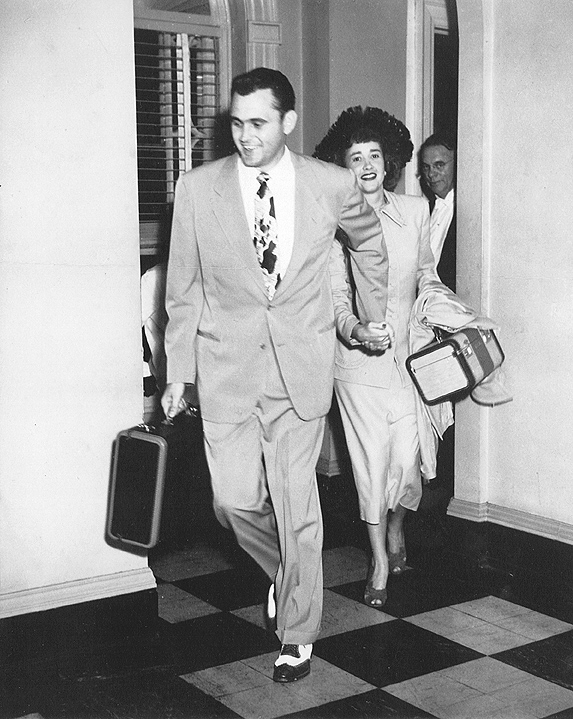 Lois & Bob Hornsby leave for their honeymoon in Bermuda as J.W. Hornsby looks on. I mentioned in my first post that my brothers and I grew up with music as a major part of our lives, and we are so grateful for the support of our wonderful and musical parents, Robert and Lois Hornsby. Our father, Robert Hornsby, grew up in Yorktown, Virginia, and played tenor sax and clarinet in a group called Sherwood Hornsby and his Rhythm Boys. Robert’s brother Sherwood played piano, and another brother, Charles, also played clarinet and sax. They added a drummer and played swing music all over the Virginia Peninsula, including gigs at Toppings Trailer Park in Williamsburg and the Buckroe Beach Pavilion in Hampton. They played the music of Glenn Miller, Tommy Dorsey, and other great dance orchestras of the 1930’s and 40’s. I can remember my uncles coming over to our house in Williamsburg and setting up in the living room with my dad. Uncle Sherwood would bring a little recording device that made small green 78 records of the performances. They would play and sing and laugh all through the night! Our mom, Lois Saunier (Hornsby), grew up in Richmond, Virginia. Her father, Paul Saunier, was a long time keyboard artist and director of music for the Petersburg City Schools. He had his own radio show on WRVA in Richmond, the 50,000 watt voice of Virginia, playing the organ at the Second Baptist Church in Richmond and then later the large theater organ at the Mosque. My grandfather was also the first organist to play for the real Santa Claus at Miller & Rhoads in the tea room, where he would play both a Hammond Organ and a Steinway piano at the same time. Mom took piano lessons for years and she often played and sang songs for us, especially kiddie songs so we could run around the living room and sing along. She was also a strong vocalist, and sang in an Andrews Sisters type three-part harmony girl-group. 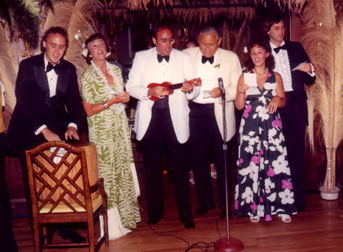 Bruce, Lois, Bobby, Robert, Ann, & Jonathan singing together at the Hawaiian rehearsal dinner for Phil & Lee Bowditch. With all this musical activity it was not surprising that my brothers and I began to take lessons, play music, and think of it as something very cool to do. Our home was right across from the College of William & Mary, so we were able to go see live performances of great touring artists. When Peter, Paul, & Mary brought the folk music boom to Williamsburg we were able to go and see the Hootenanny live! We were primed and ready for the arrival of the rock and roll era, which came alive for us on the night of February 9, 1964 when we saw the Beatles on the Ed Sullivan Show. We would never be the same again! Just past the William & Mary dorms along Jamestown Road in Williamsburg I turned into my childhood neighborhood of Indian Springs on the way to sign the listing agreement for 300 Indian Springs Road, an exceptional brick traditional home. I was excited that the owners had called on Hornsby Real Estate Co. to market the property not only because it’s such a great home, but because it brings back fond memories of growing up in Indian Springs. 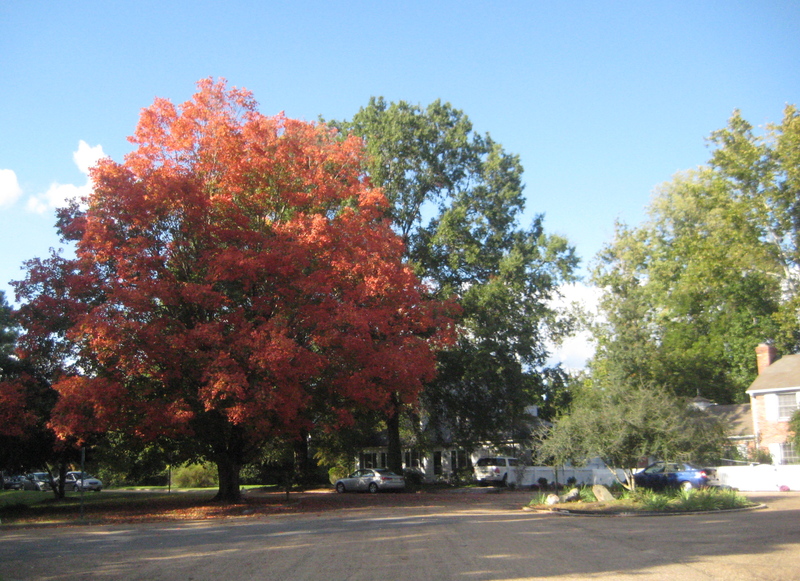 Indian Springs is a classic neighborhood in the City of Williamsburg created by Carrie and Monier Williams during the 1940’s when they developed their farm into lots. They were ahead of their time in the design of the streets and building lots because they created two circles, loop roads that joined together with lots on both sides of the street. In this design the lots in the centers of the circles back on circular common areas shared by the property owners in Indian Springs. Over the years the residents built recreational facilities in these common areas. My dad, Robert Hornsby, built a basketball court and tennis backboard that is still used by the neighborhood kids. Other neighbors have installed swing sets and fun stuff in the circles, and this continues to foster a true spirit of camaraderie in the neighborhood of Indian Springs. Local lore indicates that Indian Springs got its name from a group of natural springs where the English colonists discovered local Indians gathering fresh water near the early settlement of Middle Plantation, which would later become Williamsburg. 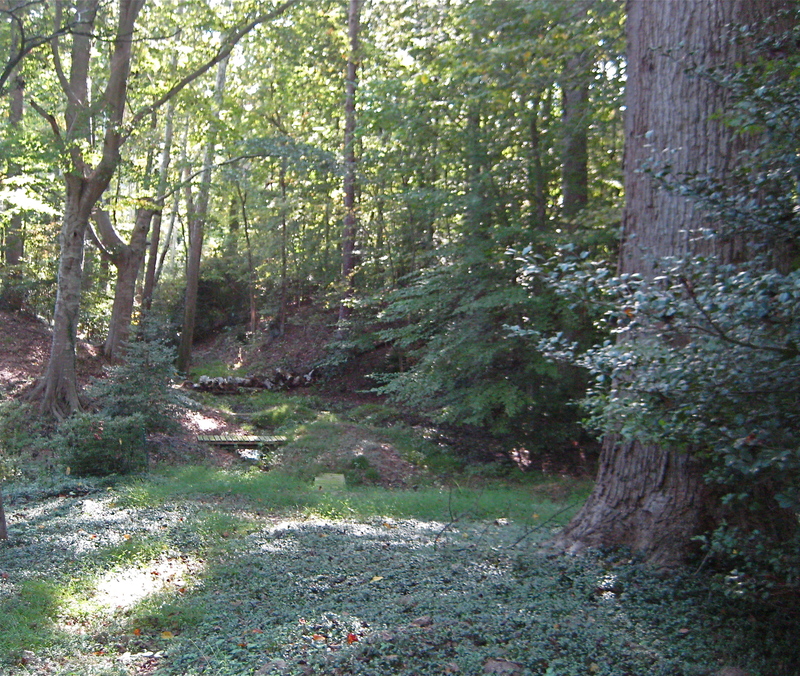 Another reason I was excited to visit 300 Indian Springs Road is that the backyard used to have a grassy area adjoining a slope that led down into the woods next door where the Indian Springs had been located. I was curious to see if there was any remaining evidence of this ancient water feature. I had not been to the springs since I was a boy, when my friends and I would run back through those woods and wade across a little stream to a small island to reach the Indian Springs. The high bank behind the springs was clay that had been worn away to form what seemed to us to be shallow caves. The springs bubbled up out of the ground and we would crawl around in the “caves” and play “indian camp” and do all sorts of exploring. We would also take wood and mud and dam up the stream and then come home covered with muddy clay from the Indian Springs. As I walked back through the yard at 300 Indian Springs Road I was happily amazed to discover that the Indian Springs are still there! In the 50 years since my last visit the surrounding properties display more mature landscaping and there are now small bridges across the stream leading to the island. Neighbors have outlined paths to reach the bridges and the clay bank “caves” are no longer evident since they are now stabilized with periwinkle and Virginia creeper. The site of the Indian Springs is now a peaceful forest glade where the freshwater springs still bubble out of the ground like they have for centuries. The home I have listed at 300 Indian Springs Road is beautiful, and has been exquisitely maintained by a couple that collects antiques. They are consolidating their collection and we are currently selling this home in Indian Springs with an asking price of $699,000, a strong bargain and $116,000 less than the last sale price in 2006. Let me know if you would like to come to Williamsburg and create your own memories in this historic location across from the College of William & Mary just 5 blocks from Merchant’s Square and Colonial Williamsburg. Bobby Hornsby grew up in Williamsburg, Virginia and attended Matthew Whaley Elementary School right next door to the Governor’s Palace in Colonial Williamsburg. 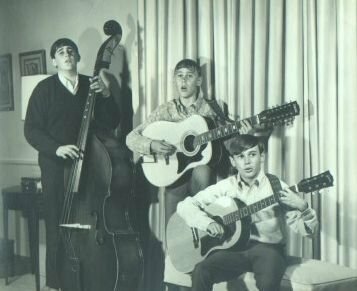 His family members were very musical and they inspired Bobby and his brothers Bruce & Jonathan to listen to the popular music of the day at an early age. The brothers went on to perform together in an assortment of musical endeavors. In 1974, brother Bruce Hornsby played keyboards in “Bobby Hi-Test and The Octane Kids”, a rock band formed by Bobby and friends while attending the University of Virginia. The brothers continued to perform together for years, until desire to raise a family overcame road fever and Bobby left the band and opened Hornsby Real Estate Co. to market and promote his father’s real estate developments. Here at RealWilliamsburg you will find tales of these experiences and more. Thanks for reading my first post! You can see more scoop at Hornsby Real Estate Co.